The 2017 Farm Animal Care Coalition of Tennessee Annual Meeting held January 17, 2017, in Murfreesboro, TN, in conjunction with the Tennessee Pork Producers Annual Meeting was a huge success. Greg Peterson, a third of the Peterson Farm Brothers, shared a great message about agriculture advocacy. 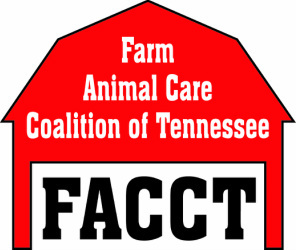 FACCT is pleased to welcome new members Tennessee Sheriff's Association, Tennessee Walking Horse Breeders' and Exhibitors Association, and Walking Horse Owners Association.